Congratulations graduates! 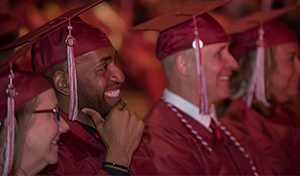 CTU’s 2019 commencement ceremony on July 13th promises to be an exciting time for graduates, guests, faculty and staff. The ceremony will be held in the Bellco Theatre at the Colorado Convention Center in Denver. 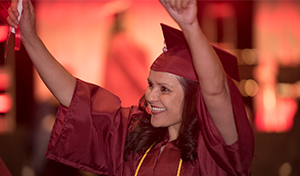 Graduates are encouraged to check in at the convention center from 2:00 p.m. to 7:00 p.m.
Take photos in front of CTU graduation backdrops, purchase class rings or other commemorative items, and much more! 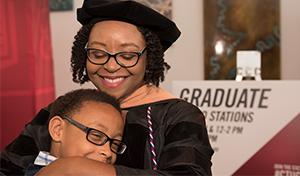 The master’s and doctoral degree/hooding ceremony begins at 10:00 a.m. The associate and bachelor’s ceremony begins at 2:30 p.m.
Students may continue to check in up to an hour before their commencement ceremony. Theater doors will open for guests 90 minutes before the ceremony, and seating is not reserved. 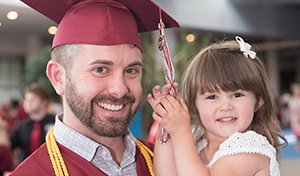 If you are a graduating student completing your degree program between June 22, 2018 and June 20, 2019, you will receive an email with instructions on how to register for the ceremony by early March. 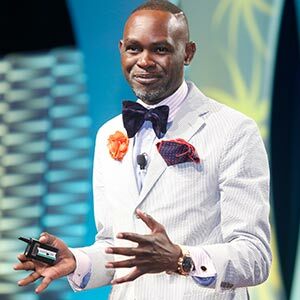 If you do not receive an invitation to register by that time, please contact your Student Success Coach. Participation in the graduation ceremony is optional and does not constitute a conferred degree. All academic requirements must be fulfilled before your diploma is shipped to your home address. Please do not register if you do not plan to participate.